Supply and install Kerbing 6500Mtrs various types. 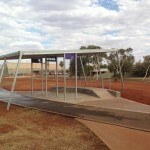 Supply and install, concrete skate ramp, footings and any other associated concrete works. Supply and install 30,000M2+ of House paths, Pedestrian paths, Pram ramps, Driveways, Kerbing, Headwalls/Culverts and Drainage works.